Beyer Carpet Cleaning San Antonio believes in only providing environmentally safe San Antonio carpet cleaning. By servicing the city of San Antonio and the surrounding cities Beyer Carpet Cleaning can offer environmentally safe carpet cleaning to everyone. We do not want to use chemicals that could harm the environment because they could possible harm you! All our products are tested and approved and used widely among the most professional carpet cleaners in San Antonio. So if you have pets, kids, or babies there is not need to worry about what is being sprayed into your carpet when you use Beyer Carpet Cleaning San Antonio. If the Beyer family won’t use a product in their home because they felt it was unsafe they would surly not use the same product in their customer homes. Beyer Carpet Cleaning wants customers to use them again and again so we here at Beyer will only provide the best and safest carpet cleaning for the city of San Antonio. 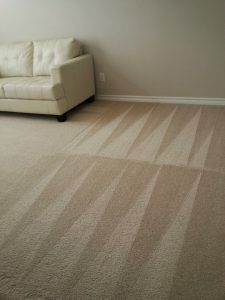 San Antonio carpet cleaners should only provide environmentally safe carpet cleaning and if they aren’t don’t use them! You only want to use safe carpet cleaning solutions to ensure your safety and the safety of your loved ones. We realize that there are various carpet cleaners in San Antonio that offer the safe carpet cleaning option but only Beyer Carpet Cleaning offers affordable pricing for the type of clean you want and deserve. From carpet cleaning to tile and grout cleaning to upholstery cleaning Beyer Carpet Cleaning offers it all for the a low low price. We understand that you work hard for your money and want to keep as much as possible in your pocket. We also understand that you need clean carpets so Beyer Carpet Cleaning offers quality cleaning for a quality price. As a professional carpet cleaning company Beyer Carpet Cleaning is committed to providing only the best for the city of San Antonio. It is important to us that you get the type of clean you are looking for. Carpet Cleaning San Antonio shouldn’t cost you $300 and then you not get the results you were looking for. Beyer Carpet Cleaning guarantees that you will be more then satisfied with our carpet cleaning, tile and grout cleaning, and upholstery cleaning. If you are not satisfied we will do all that we can to make you happy. It is important to make sure when you hire someone to clean your upholstery that they are using the right process and are not over watering your furniture. Your upholstery cleaning nor your carpet cleaning should ever be soaking wet when the carpet cleaner is done. It should only be slightly damp especially when it comes to upholstery cleaning. If your upholstery cleaning uses too much water it could damage the upholstery and water that sunk into your cushions may not be able to be extracted. If too much water is left in your upholstery while cleaning you have a great change having mold and mildew grew and form within your cushions. This is greatly unsafe for anyone and you would need to replace your furniture right away. 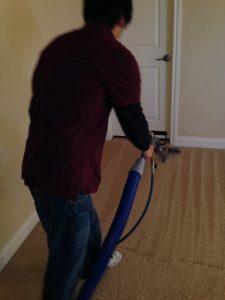 Beyer Carpet Cleaning San Antonio use a low pressure steam to clean your upholstery. Our upholstery cleaning is a sensitive job so we make sure we do it right and take our time to make it gets done right. When one of Beyer Carpet Cleaning’s technicians leave your upholstery will be slightly damp and will dry within an hour or two. That is how you know we did not soak your upholstery and that it is safe to keep in your home. So San Antonio if you are looking for safest, smartest, most professional carpet cleaners for the best price look no further then Beyer Carpet Cleaning San Antonio. San Antonio carpet cleaning doesn’t have to be stressful or worrisome. So if you want to skip the headache and heartaches call Beyer Carpet Cleaning San Antonio the first time around and you won’t be disappointed. Satisfaction guaranteed!